The premise: 9 ordinary people dropped off in Venezuela's southern frontier with basic supplies. The goal is to travel 70 miles through a remote area and make there way back into civilization. Here's what I liked about this series - while most survival reality tv shows have a handsome reward in the form of monetary gain at the end for those who completes the challenge, this particular show has none. Its reward is the experience in itself. The participants joined for self-exploration / self-improvement / the thrill of the adventure, etc. Not to mention the tremendous bragging rights. In addition they were allowed to gather additional supplies near the drop-off point from a supply cache, keeping in mind that they would only be adding to the weight they'd have to haul along. I sat down and pretty much watched the 8 episodes of the series in two days. It was an engaging show - interesting people with very different background stories, beautiful and dangerous terrain, of course some conflict (this is inevitable in a group setting, especially under these very stressful conditions). As the show progresses, you can see how much weight the members lose from caloric intake deficiency. Each participant has a gps locator beacon system that they can use should they choose to leave at any time. All they have to do is press the button and the helicopter extracts them. No spoilers here, you'll have to find out who leaves and who stays. It took the remaining volunteers twenty six days to reach civilization. 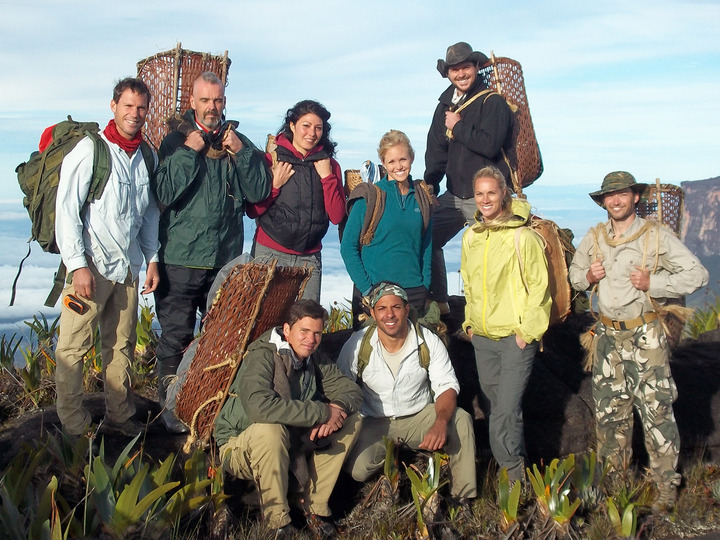 Hands down the best reality tv survival show I've seen so far. 5 out of 5 stars.